Hello everyone!!! It’s been a while since my last post but I’m back and ready to share more of my adventures. In a few weeks I’ll be heading to Hawaii for my new job and I can’t wait to share some videos of my trip. 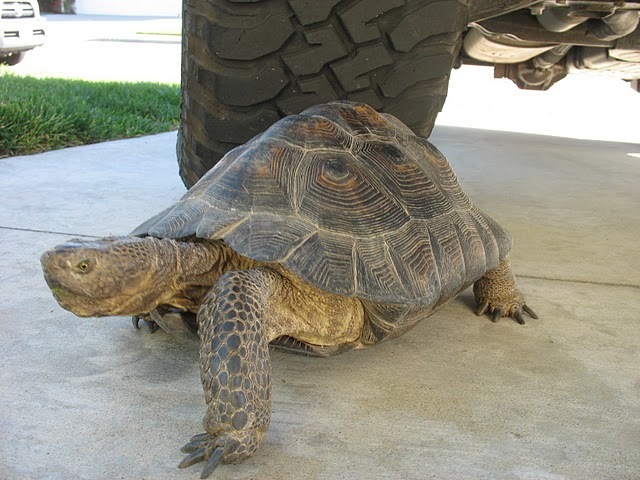 Today I would like to introduce you to my California Desert Tortoise Mr. Don Draper. To his friends he is Don. Mr. Draper is 30 years old and will probably live to be 100 years old. That right kids…100 years old. I rescued him from the Vet a few weeks ago. He sleeps most days but when he is awake he loves to chase Buddy the Australian Shepard around the backyard. 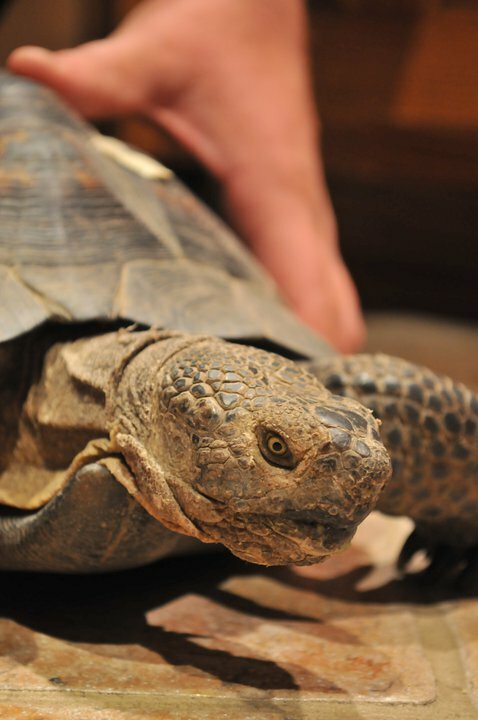 Unfortunately the California Desert Tortoise is an endangered species. The biggest threat to their habitat now is not off-roaders but the upcoming Solar Projects planned in the Mojave Desert and the expansion of military bases. In the wild Mr. Draper would spend most of his life in a burrow and would live in climates up to 140 degrees Fahrenheit. He eats weeds, grass, flowers, strawberries, or anything else he can find to munch on. He doesn’t need water as he gets most of it from the plants he eats. Desert Tortoises can live up to 2 years without water. In the last 20 years the wild population has declined by as much as 90%. 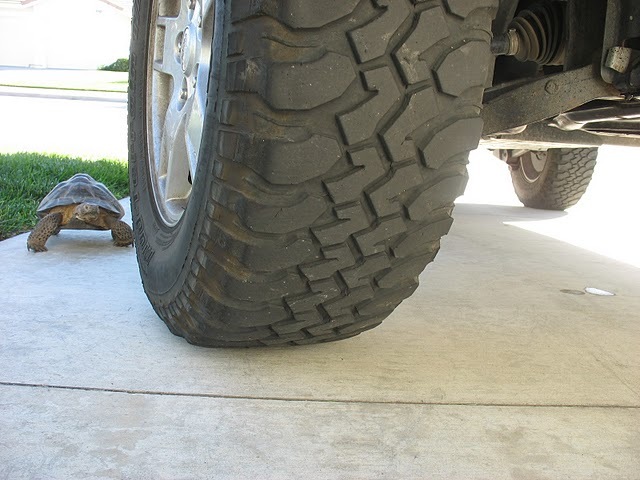 When I off-road in the desert I make sure to keep my speed down to watch for Mr. Drapers friends if they cross a trail. It is also important to never touch a wild Tortoise. You may scare it which will cause it to release it’s water reserves. This will most likely kill it. If it does have to be moved approach it from the front walking slowly so as not to startle it. Pick it up gently and place it off to the side of the road. With out further adieu…MR. DON DRAPER (former CEO at Sterling Cooper Draper Pryce in NYC). And yes… he has an attitude problem.